MENDON — Trudging up the dusty trail, Abby Wangsgard began to wonder what she had gotten herself in to. She hoped the view was worth it. Even as though she’s a Cache Valley native, this was the 22-year-old’s first time climbing the Wellsvilles. LOOKING SOUTHEAST across Cache Valley, the views are breath-taking. 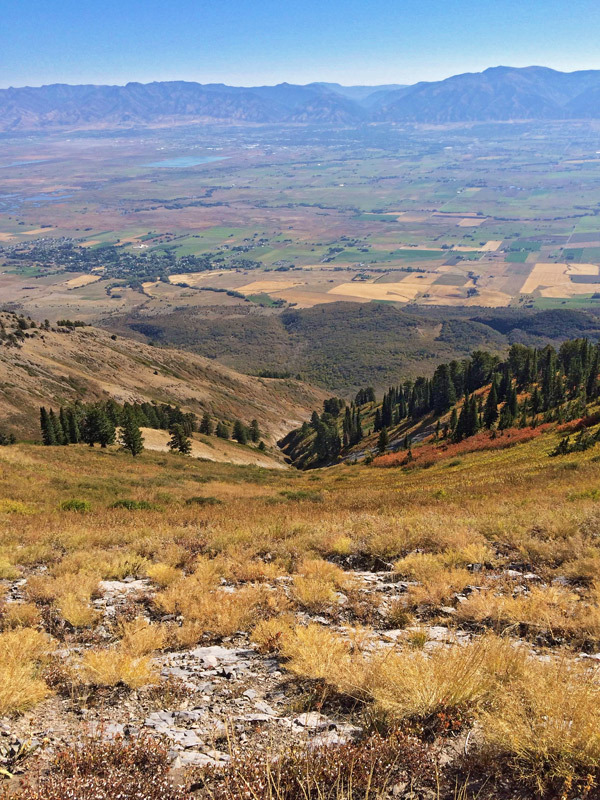 Former USU geology professor Robert Oaks says the Guinness Book of World Records lists the Wellsville Range as the steepest in the world, measured by its height relative to the width of its base. This means the mountains are very narrow with steep slopes on both sides, which is why they appear to come straight up from the valley floor without significant “benches” or foothills like the other mountain ranges in the area. The Wellsvilles are steepest, but they aren’t the tallest peaks in Utah — at 9,372 feet elevation, Box Elder Peak is the highest in the range, and ranks 27th among Utah mountains. Mount Naomi, on the east side of the valley in the Bear River Range, is the highest peak in Cache Valley at 9,979 feet, while King’s Peak in Duchesne County is the highest in the state, 13,528 feet. Oaks says they were formed by geologic faults coming together at once with different forces. Oaks says that after the faults came together, wind and water eroded the tops and sides. Veteran climbers say their steepness mean the Wellsvilles offer some of the most beautiful views from the top, like standing at the top of a tower. Leuba is an avid climber, and says the views from the Wellsvilles aren’t like any others. On a clear day from the top of Box Elder Peak, he said, you can see as far as the Uintahs, the Wasatch Range, and up into Idaho. 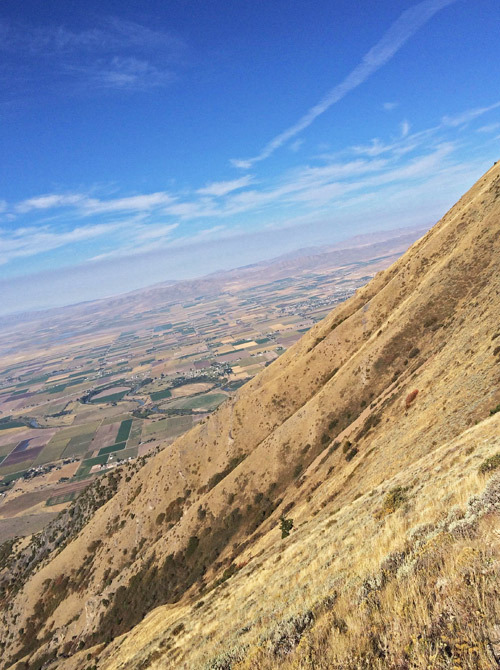 Hikers can access three trailheads on the Cache Valley side. To the southeast the Rattlesnake trailhead in Sardine Canyon provides the best access to Box Elder Peak (9,372 feet) and Wellsville Cone (9,356 feet). South of Mendon is the Maple Bench trailhead, which provides access to the main ridge at Stewart Pass, Scout Peak (8,687 feet) and Mendon Peak (8,766 feet). At the most northern side of the range (just north of Mendon) is the Deep Canyon trailhead, which provides access to Deep Canyon and the main ridge and Mendon Peak. It is also possible to start at one end of the range and traverse across the whole ridge to the other end.